TransCanada Corp. has announced plans to build a $1.9-billion pipeline to help deliver natural gas to an LNG project proposed by Chevron and Apache near Kitimat. 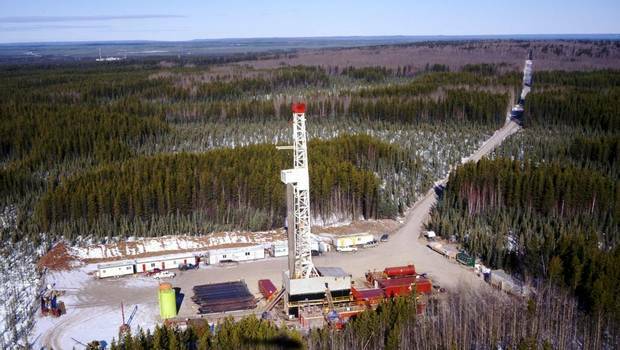 The Calgary-based company now has four major natural gas pipelines planned in the region totalling $12.6 billion in investment. 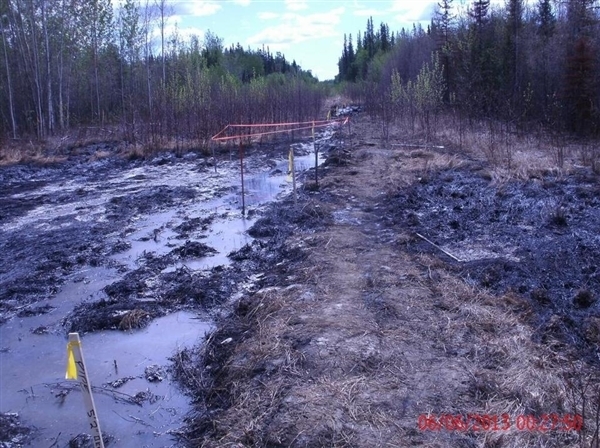 Apache contractor ran over a hibernating bear den while clearing land near Fort Nelson, B.C. 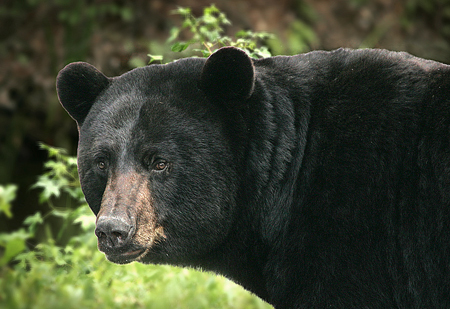 An oil and gas company is investigating after one of its contractors accidentally ran over and killed a black bear near Fort Nelson, B.C., last week. Apache drilling rig in Ladyfern, BC. 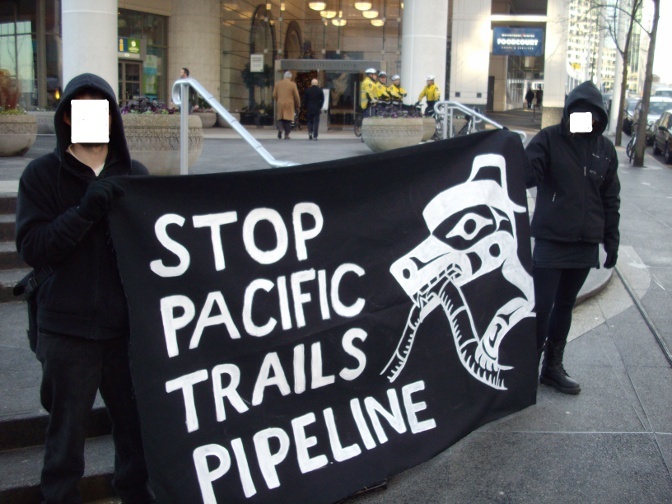 Note: Apache is the main owner of the proposed Pacific Trails Pipeline. 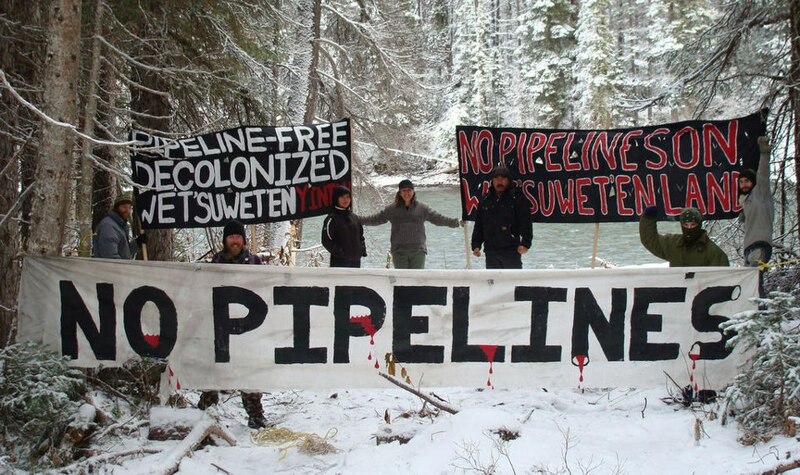 Members of Un’istot’en camp blockade surveyors working for Apache corporation, Nov. 20, 2012. 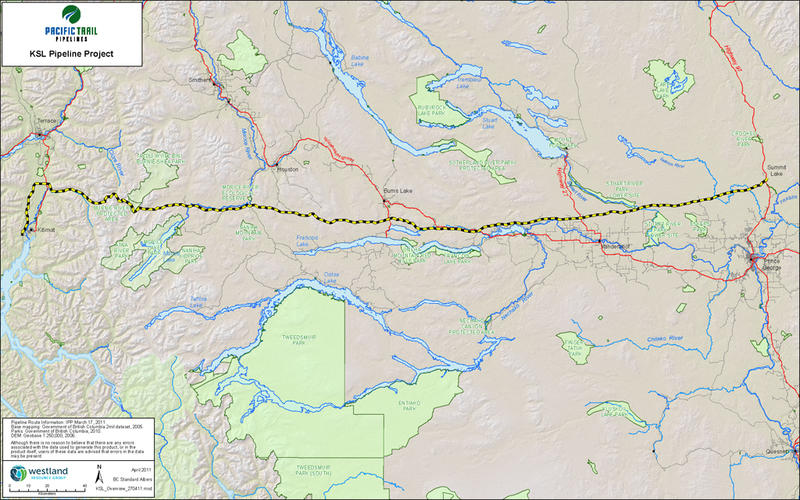 Proposed route of the Pacific Trails Pipeline. The B.C. NDP is opposing the proposed Enbridge oil pipeline, but it supports a pipeline that will transport gas produced through fracking. For Michael Jessen, the Green Party of B.C.’s energy critic, that’s a clear double standard.